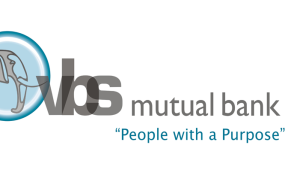 Reserve Bank Deputy Governor Kuben Naidoo says unaudited restated financial statements show that VBS Mutual Bank has a negative equity position of R372 million. Naidoo said this when he briefed the Standing Committee on Finance on VBS Mutual Bank in the Old Assembly Chamber on Wednesday. "In early October 2018... the curator wrote to the Prudential Authority informing the [Prudential Authority] that he had compiled the restatement of the 2017 accounts on a best effort basis. "In our previous meeting, we reported that we had asked the curator to restate the previous year's financial statements and only on that basis could we make a firm decision on the future of the bank. "The curator has done that and he has presented those restated financial statements to the [SA Reserve Bank]. At this stage, they aren't audited but they are what [is called] the best effort basis. We don't think the picture will change dramatically. "This restatement shows that the bank is insolvent to the tune of about R372 million, so there is negative equity of R372 million," Naidoo said. This comes not long after lead forensic investigator, Advocate Terry Motau, released a report titled 'The Great Bank Heist', which uncovered massive fraud amounting to R1.9 billion that was looted from the bank. VBS was placed under curatorship in March this year. Motau's report, which was released last month, also revealed that 53 people or companies received monies from the bank, and named 27 perpetrators in the summary report. Naidoo said, meanwhile, that the results may deteriorate further as a result of further details arising from the investigator's report. He said in terms of the Mutual Banks Act, read with the Banks Act, once the Prudential Authority has evidence that the bank is insolvent, they are legally obliged to approach the courts to apply for liquidation of the bank. "In law, our view is that we don't have significant discretion [to determine if the bank can be saved]. Once we have evidence that the bank is insolvent, we have to approach the courts," he said. Naidoo said on 29 October 2018, the Prudential Authority filed papers in court for the liquidation of the bank and that the court will hear the liquidation application on 13 November 2018. Anyone who objects to the liquidation, Naidoo said, can oppose the application in court. "Assuming that the court grants the liquidation, the bank will be placed in liquidation. This process will entail recovering monies owed to the bank, selling assets of the bank, closing operations, all while continuing to collect loans owed to the bank." Naidoo said the process may take several years to complete. "Our advice to anyone who wants to save the bank or provide similar services in the region is to use any financial resources that they have to apply for a new banking licence. This will be cheaper and will avoid the system and legacy problems associated with the old VBS," he said. VBS looting described as "racketeering at its worst"
Meanwhile, Hawks head lieutenant General Godfrey Lebeya says the elite crime-fighting unit is making progress in investigating cases of fraud, theft and racketeering. "At the moment... we have already obtained more than 60 statements that we are going to use as evidence," Lebeya said. He said this would include spoken and written information from ordinary informers. "This should put South Africans at rest to be ensured that investigations are being conducted." He said no less than 10 investigators have been assigned to the VBS case and that they are collaborating with other law enforcement agencies, including the National Prosecuting Authority (NPA), SA Reserve Bank, Financial Intelligence Centre, Companies and Intellectual Property Commission, National Treasury and the Department of Cooperative Governance and Traditional Affairs, among others. Lebeya said the information at hand indicates that there are serious allegations of fraud, contravention of the Municipal Finance Management Act, theft, corruption, money laundering and the possible contravention of Prevention of Organised Crime Act, as well as the contravention of the Companies Act. Acting National Prosecuting Authority (NPA) head Dr Silas Ramaite said the looting that happened at VBS could be described as "racketeering at its worst". He said the NPA has not reached a prosecutorial decision at this stage. "The important point to make is that there has been quite a lot of focus on the fraud and the theft... But the issue is much bigger than that from a prosecution point of view and we have raised this with the prosecution team and are currently discussing it. "It is in fact racketeering at its worst, and that in respect of prevention of organised crime because it involves syndicate offences like fraud and theft, and it also includes reckless trading, which is one of the less enforced crimes in South Africa," he said.